The department provides a Secure File Transfer Service for the situations where you need to intake or send secure data. In this blog post, we’re going to show you how to go through the steps to securely intake data from an NC State employee, or outside user. This assumes you’ve already requested and been granted access. We’ll start by logging in to the the system at https://secure.math.ncsu.edu. Once we’re signed in, we see the dashboard where we can create files, folders, or upload. We’re going to create a new folder, and call it “Example”. Then, click the sharing icon and share via link. 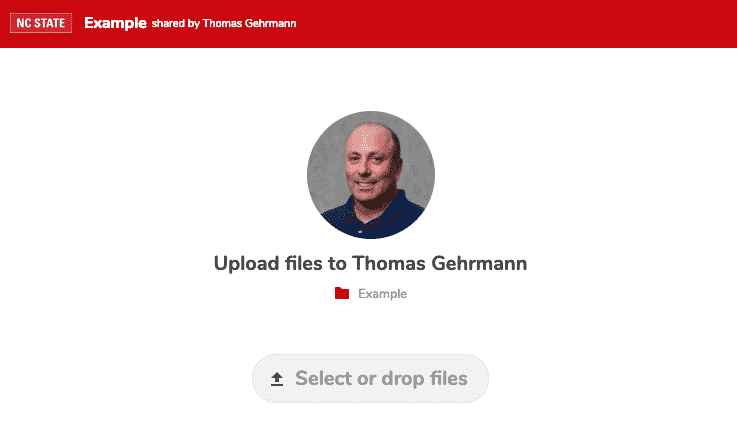 This will let you select the “File Drop” option. 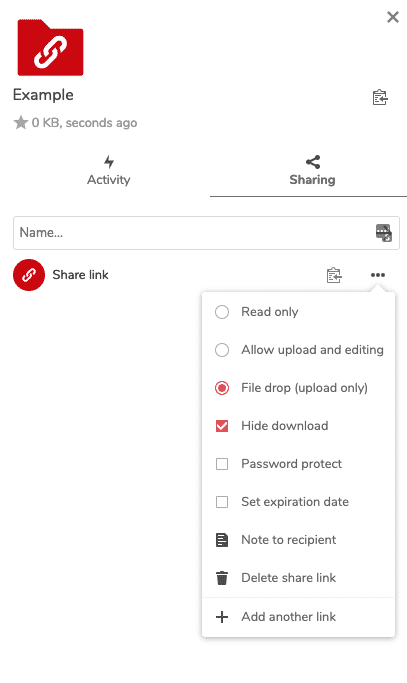 When you send that link to anyone, they’ll be able to upload files securely, without having the ability to get any data back out, or a need to sign in. Here’s the screen they’ll see.